So January has been a busy time for us already. Lots of dog friendly trips and visits have been booked, friendships formed with some fabulous companies and more importantly friendships blossoming with lovely people. My dogs may to the outsider be an obsession – four legged creatures that appear to rule my life and be at the centre of most things I do. I’m happy if people want to think that – what they may not see is the unconditional love those creatures give back to me and the opportunities and the doors they can open. 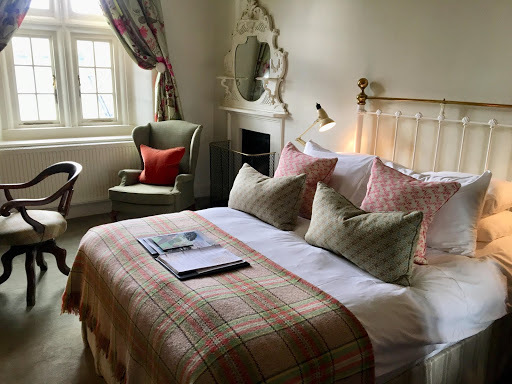 The first exciting door that was opened was our first (and hopefully not last) visit to the stunning Woolley Grange Hotel on the outskirts of Bradford-on-Avon in picturesque Wiltshire. The stunning Jacobean Manor House has been transformed into a totally family friendly getaway. 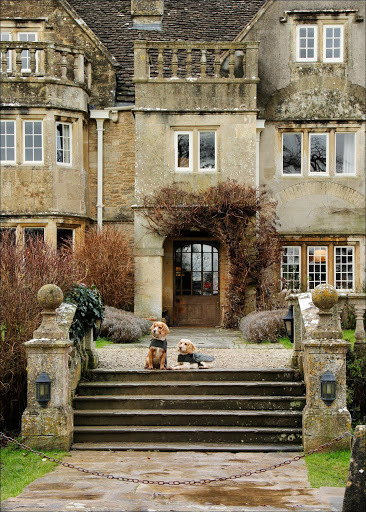 Their website states dogs are welcome, however on arrival its clear the effort Woolley Grange have gone to to make your dog feel as welcome as you do. If your really lucky, Rex the resident Cavalier King Charles will welcome you to his home – if he is otherwise engaged one of the friendly staff members can show you all to your room. On entering one of Woolley’s luxury rooms, you will already feel able to relax in the homely yet grand surroundings. Beams overhead, huge comfortable beds in large spacious rooms with stunning views over the Wiltshire Countryside. All tastefully decorated with a fitting and appropriate ‘Country’ decor. 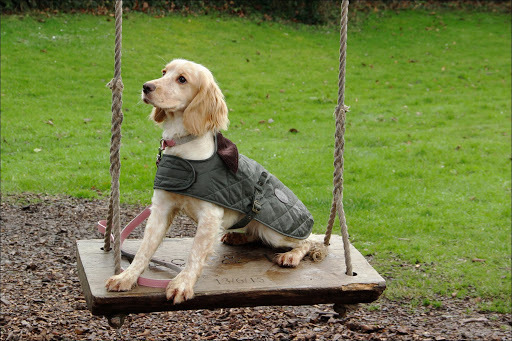 Your dog has their own bit of luxury to look forward too, with their very own welcome pack. Comprising of a bed, bowl, treats and a selection of fabulous walks to find in the area your dog really can be treated as one of the family. They are allowed in all areas of the hotel with the exception of the formal dining area, kitchen and spa – for those dogs who want a pamper session you can always pop to the Doghouse in Bradford-on-Avon for a wash and blowdry! 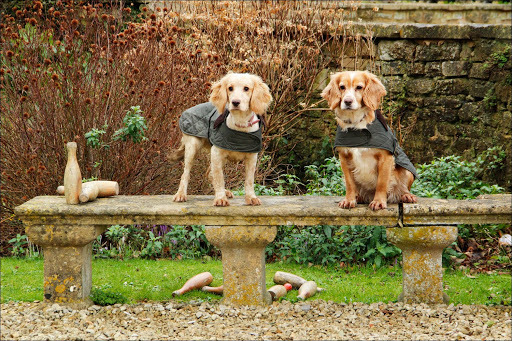 The grounds are all dog friendly, off lead in one of two fields for a fabulous run around (wellies may be needed). For dogs that like to experience the great outdoors there is a dog wash station at the hotel complete with warm water, towels and shampoo to ensure your pooch is gleaming ready for a night relaxing in front of the fire. For residents of the hotel there is the facility for ‘dog listening’. All rooms are equipped with baby/dog monitors so when dining or using the spa facilities, reception staff can keep an ear out for your dog to ensure their needs are met and no problems occur. 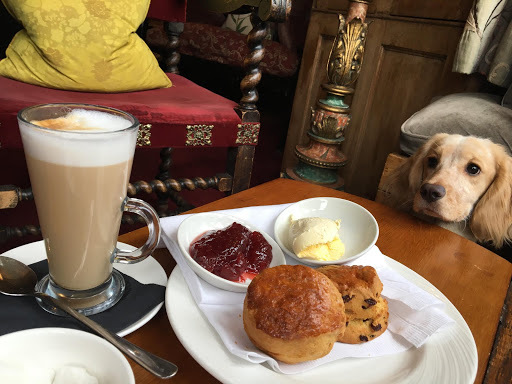 We were lucky enough to also be asked to stay for a cream tea – this is something I would highly recommend with or without your dog! Generously sized, home made scones with local jam and cream. The smell of the warm scones was heavenly and tasted just as good! After we finished our coffee we meandered outside to explore more of the grounds. With views over the Westbury White Horse, the grounds deserve their own write up, an ornamental pond lies immediately to the front of the hotel which is then surrounded by beautiful landscaped gardens. Tree swings, croquet and skittles are all outside for your enjoyment plus a well stocked toy basket by the front door in case you lost your tennis ball on your walk! There really is so much to see and explore at Woolley Grange I would recommend staying to experience it for yourself. I’d like to extend a huge thank-you to the staff that looked after us during our visit. You are a credit to Woolley Grange and made the dogs and I feel so welcome and hopefully we come back for a night away and experience the amazing menu we saw!